Warning: Spoilers ahead for All-New X-Men #40, on sale tomorrow. In this week’s All-New X-Men #40, writer Brian Michael Bendis will finish out his run on the series with a finale that promises to have lasting ramifications for one of the original X-Men...and leave fans talking. 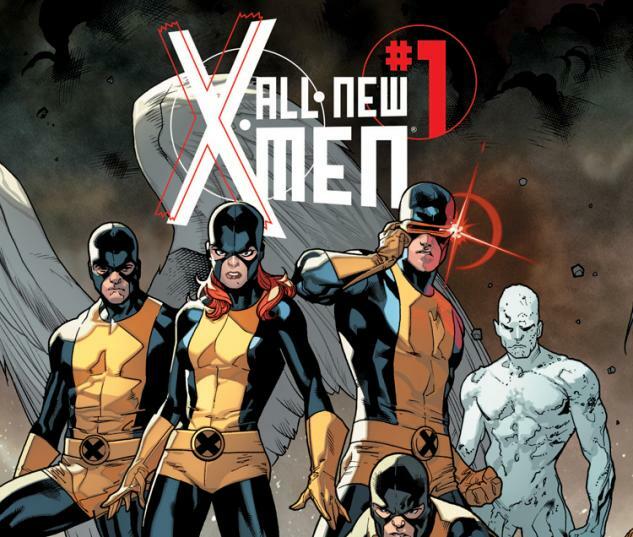 Bobby Drake, the X-Man known as Iceman, outs himself as a homosexual in the issue, which hits shops on Wednesday, according to pages which have leaked online. The revelation comes in a conversation with Jean Grey, during which Bobby is exasperated that his older self doesn’t seem to be gay. Bobby has historically dated women, including a relationship with fellow X-Man Kitty Pryde. Bobby suggests that he could be bi -- a distinction Jean agrees with, adding the qualifier that she thinks he’s “more...full gay.” Bobby also suggests that perhaps his older self simply had never come out because he couldn’t handle being a mutant as well as gay, the implication seemingly being that a trip to the “future” is enough for the younger Bobby to feel open with himself. With the public face of race relations seemingly taking on a less overtly hostile nature in the United States, the X-Men’s long-standing narrative metaphor of discrimination and segregation has largely been transferred from being a metaphor about people of color to being a metaphor about LGBT people in recent years. All-New X-Men #40 hits the stands on Wednesday in comic shops and digitally on Marvel.com and comiXology.